We are very happy and proud to receive this order but most of all grateful for the close cooperation we have with SSRS when it comes to product development and quality assurance. 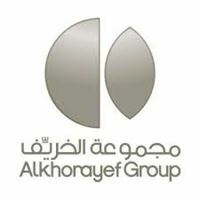 We are very proud to announce that a new cooperation agreement has now been signed with one of Saudi Arabias largest company groups, Alkhorayef Commercial Group. 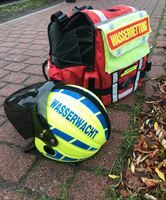 We are proud and delighted that Wasserwacht has chosen the RescueRunner System. They are the fifth Red Cross organisation in the world to select Safe at Sea as their supplier. It is encouraging to see that the awareness of how useful the RescueRunner is also for fire rescue services is spreading fast across the world. 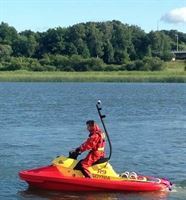 The versatility, robustness and not the least the user-friendliness attracts many fire rescue services as the operators that are using the boats are not always experienced sea-men and the RescueRunner is a much easier tool to use than a conventional outboard boat. We are very happy to see that the RescueRunner system is working so well for the ICE-SAR organisation and that it fits their needs so well. Iceland is an island with extreme weather conditions, a very rough coastline and brave sea rescuers who need equipment they can rely on. We are very proud that they are choosing RescueRunner for the important work they do. 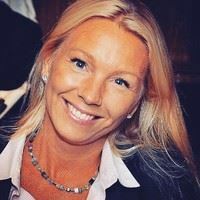 Linda Ahl, Vice President / Sales and Business Development Manager at Safe at Sea AB (publ). 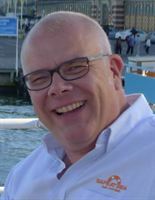 We are proud and glad, that yet another customer on the international market, chooses Safe at Sea AB (publ.) as a supplier, to improve their rescue capability. 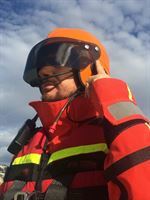 We are proud and glad that for the confidence from the Norwegian Sea Rescue Society that continues to equip their new rescue vessels with RescueRunners. 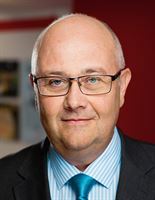 Kaj Lehtovaara, CEO at Safe at Sea AB (publ). We are very excited to enter yet another market and believe we have formed a strong alliance with EnergiSolution PTE LTD as they have a strong network and the right contacts in the market of the Republic Union Myanmar. “We look forward to continuing the close cooperation we have had since years back with Hode over Vann AS and that we together with them can spread the knowledge about the RescueRunner system. We believe it will be a very valuable tool for the different Norwegian Organizations which are specialized in water rescue but also for the Fish farming industry as a service boat. Norway is a very interesting market for Safe at Sea AB (publ.) and we are here to stay”. Sarpsborg Brann- og Feievesen increases their water search-and-rescue capabilities with a RescueRunner system.Sarpsborg brann- og feievesen has over 600 missions per year and many of them are related to search-and-rescue in the rivers, lakes and along the coastlines they are covering in their territorial area. We had the pleasure of having representatives from their organisation testing the RescueRunner system already in May 2017 and we are now delighted to learn that the RescueRunner system fitted their operational needs best and that they have chosen to invest in a system of their own. After evaluating and testing the RescueRunner system since 2015, the Polish SAR (search and rescue) organisation has placed an order for seven RescueRunners.JP Marine, Safe at Sea's polish distributor has received an order for seven RescueRunner systems that will be delivered to the Polish SAR organsistaion between august-september 2018. They purchased their first unit already in 2015 and has since been evaluating and testing the system thoroughly. "We are both proud and excitied to see that our product has been selected for these operations and that it will now be intergrated full-scale"
Boardmember Patrik Gustavsson has invested in an additional 5 000 Safe at Sea AB (publ) shares.After the annual shareholders meeting, boardmember Patrik Gustavsson has invested in an additional 5 000 Safe at Sea AB (publ) shares. Safe at Sea AB (publ.) has received an order from an international customer.The order is to be delivered during 2018, and the order value is 2 MSEK.